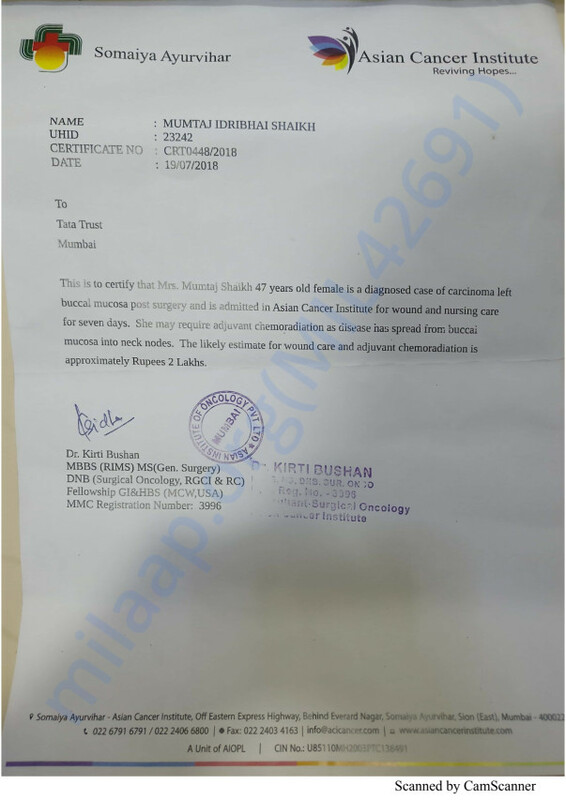 Help Mumtaj Shaikh Suffering From Cancer. 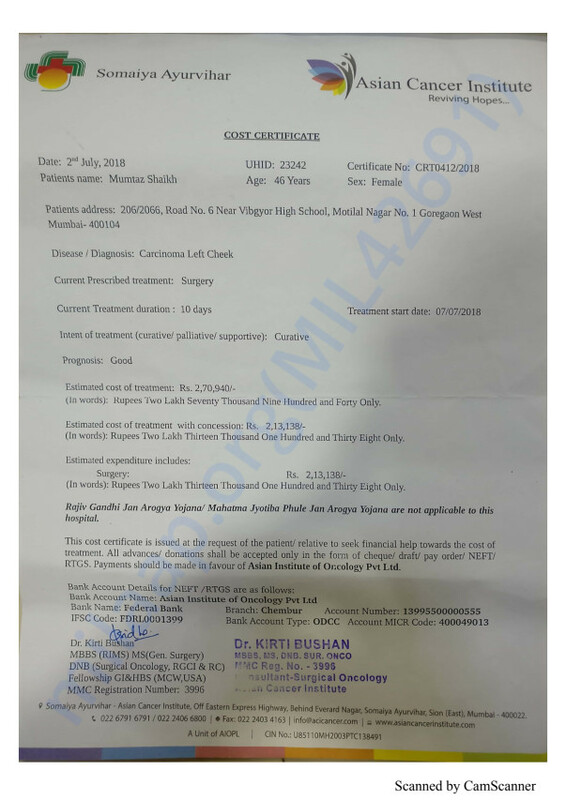 Salim Shaikh's 47 years old divorcee sister Mumtaz Shaikh was diagnosed with carcinoma left cheek cancer and require adjuvant chemo-radiation. Mumtaz Shaikh had to undergo a surgery and re-surgery in order to save her and now is in the ICU requiring two weeks of stay in order to recover Completely. After which she would be requiring to undergo radiation as per doctor instruction. The total cost of the treatment is around 4 lakh 70 thousand. Salim Shaikh need our help to save her sister. Your contribution can give his sister the life she deserves.